SYDNEY (NYTIMES) - Out of a pile of papers on her dining table, Man-Yee Leanfore, 70, pulled out one: a copy of an old immigration document from 1907. A young woman in a traditional Chinese dress stared out from the attached photos. Age: 29. Build: Thin. Hair: Dark. Nationality: Chinese. The document permitted Leanfore's great-grandmother, Yuck Land Hing, to come and go from Australia at a time when the White Australia Policy kept out most Asian immigrants. It was a limited reprieve - a three-year exemption to the dictation test commonly used to exclude nonwhite immigrants. "We suffered," Leanfore said as she looked at the photo, recalling the first in a long line of her relatives who emigrated to Australia. "But we didn't do anything wrong." This year commemorates 200 years of Chinese migration to Australia. The anniversary comes at a time when Australia is once again conflicted about its relationship with the region's biggest, most powerful country, and many Chinese Australians are digging into their families' archives to share their history with audiences from both China and Australia. February's Chinese New Year celebrations in Sydney featured talks from local historians. Chinese-Australian history museums are planning new exhibitions that connect the story of Australia's earliest Chinese immigrants to its newest, and community organisations are hosting regular talks around Chinese figures in Australian history. Even in smaller towns and cities like Bendigo, where the Golden Dragon Museum has successfully raised money to replace its historic ceremonial Qing dynasty dragon, Chinese Australians are actively seeking ways to keep their culture alive. Those who are involved say these activities are an effort to define their community on its own terms, separate from debates over the influence of the Chinese Communist Party in Australia, and to ensure that the public understands that not everyone who looks Chinese in Australia is a new arrival. "I think people, especially white people, lump us all as Chinese, as if everybody is the same," said Teik Hock Lim, 67, an ethnic Chinese, retired social worker, who grew up in Malaysia under British rule. "It's like if people would call all white people the same." Australia's relationship to Chinese immigration has always zigzagged between rejection and acceptance. In 1818, Mak Sai Ying, a young man from Guangdong, stepped off a ship in Port Jackson, becoming one of the first recorded Chinese immigrants to the continent. Given the Anglicised name John Shying, he became a well-known pub owner in Sydney's west. When gold was discovered in the 1850s, a wave of new migrants from around the world arrived to try their luck, including thousands of Chinese men from Canton, the erstwhile name of China's southern city of Guangzhou. Out on the goldfields, competition for riches meant tension simmered between European and Chinese miners. Riots broke out; in one instance, a mob of 3,000 European miners burned a Chinese camp. To discourage immigration, Victorian ports levied a heavy tax on Chinese miners. But the most resolved disembarked at South Australian ports and made the 310-mile trek to the goldfields on foot. Not all survived. Australia's first federal parliament went on to pass legislation in 1901 that would require all immigrants to pass a 50-word dictation test to enter the country. Because the test was enacted to keep nonwhite immigrants out, there was an insidious twist: officials could test applicants in any European language. After a while, "there was never a Chinese person who could pass it," said Daphne Lowe Kelley, a community leader and former president of the Chinese Heritage Association of Australia. Unable to enter Australia in the 1920s, Lowe Kelley's father sailed to New Zealand instead, paying a tax to settle there. Those of Chinese descent who were already in the country, like Leanfore's great-grandmother, could apply for an exemption from the test in order to travel. But many, with families still living in China, simply gave up and returned home, including Leanfore's grandmother, who returned to Guangzhou. In the decades after 1901, the Chinese population declined. Race-based policies remained in place until 1973, when the government heralded a policy of multiculturalism. Now there are about 1.2 million people in Australia with Chinese ancestry. For years, older Chinese Australians have nursed the painful legacy of the White Australia Policy. Now, after 200 years, they see their community as a patchwork of experiences. It includes the descendants of Cantonese and Hakka migrants from the Gold Rush era, ethnic Chinese refugees who fled the Vietnam War, migrants from Hong Kong, Macau, Taiwan and mainland China who have arrived steadily since the 1980s, and most recently - an influx of Chinese international students. Nick Shying, 22, is one of many Chinese Australians whose roots reach back to that first Chinese settler - despite his pale skin and blue eyes. He said people often laugh when he brings up his Chinese heritage. Australians still use appearance as a basis for ethnic assumptions, he said, "but here I am as an example of the potential flaws of taking that approach." Many community leaders say these nuanced identities are once again being overlooked and oversimplified as the public focuses on new waves of immigration. Part of the reason may be that Australia still considers itself a white nation, said Kate Bagnall, a historian at the University of Wollongong. "That's a really powerful image that's really difficult to shift," she said. And with the Australian government fending off allegations of political interference from the Chinese government, some worry this ignorance of history will spur an anti-Chinese backlash. "There are some of us in the community who feel this is shades of the White Australia Policy coming back again," said Lowe Kelley. She added that when she reads news singling out Chinese political donations and investment, she worries that it will filter down: "What happens is it tars the whole of the Chinese community." Of the many Chinese Australian historical organisations she has been involved with, none receive funding from the Chinese government, she said. Others involved in the revival of Chinese Australian history also said they steer clear of Chinese officialdom. 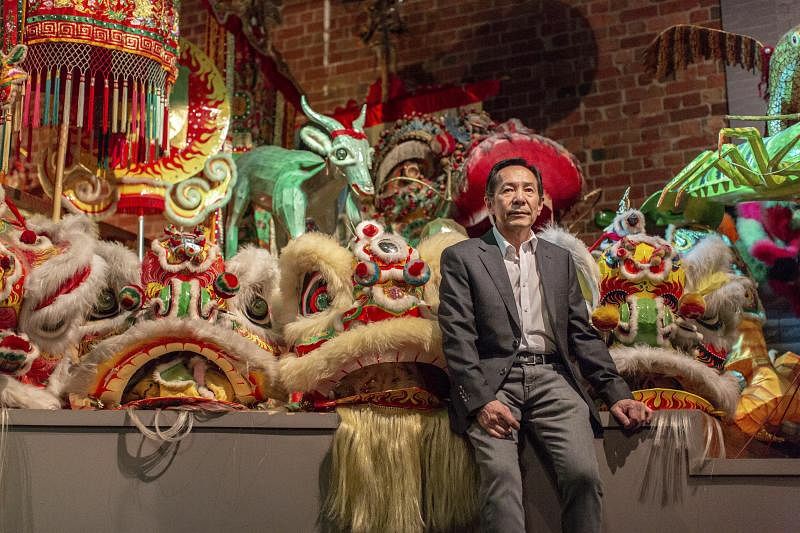 Mark Wang, the deputy chairman of the Museum of Chinese Australian History in Melbourne said the goal is to remain impartial, relying on state government funding, ticket sales and community donations. "We don't want to be distorted by a political undercurrent," Wang said. "We're about Australian history. We're not about Chinese history." For families closest to that history, the past is a bittersweet mystery that should never stop being reinterpreted and retold. Leanfore's son, Ken, 31 is a photographer. Tired of fielding questions about his unusual last name, he recently curated an exhibition using stories of Chinese Australians with names that were Anglicised by immigration officers. On a recent afternoon, in the family home her ancestors bought in 1928, Leanfore sipped tea with her husband and son, as a pack of grandchildren chased each other through the house. "None of them are pure Chinese," said Leanfore, smiling. "But that's what the future is going to be."